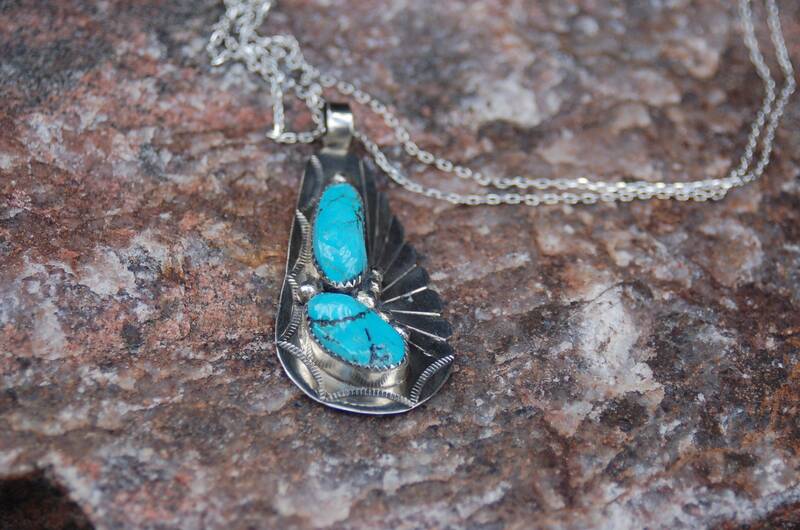 Here is a lovely vintage Navajo pendant composed of sterling silver and set with two generous pieces of turquoise. 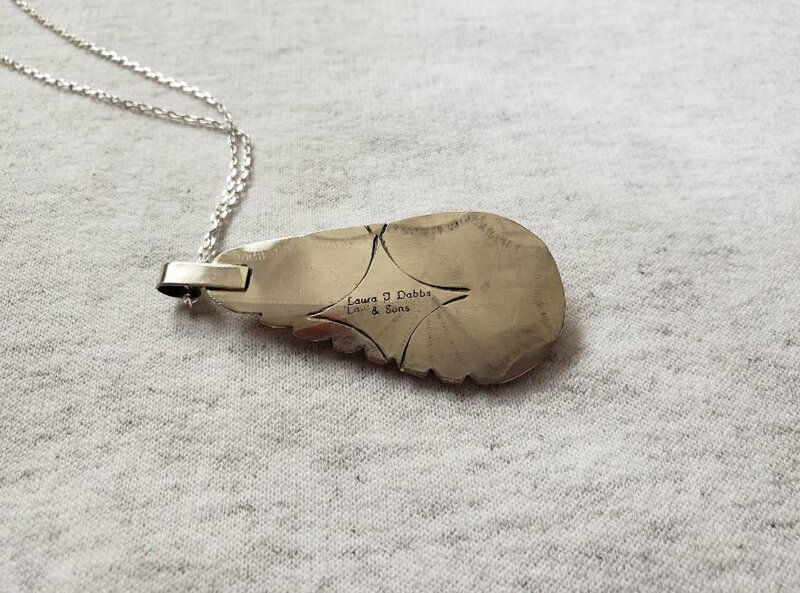 It is signed "Laura Dabbs and Sons" on the back. Laura Dabbs was born Nov. 19, 1946, in Rehoboth, Arizona into the Meadow People Clan for the Start of Red Streak People Clan. She died Nov. 3, 2001, in Navajo, Arizona She was 55 years old. Laura was a member of the Two Dogs Southwestern Gallery. 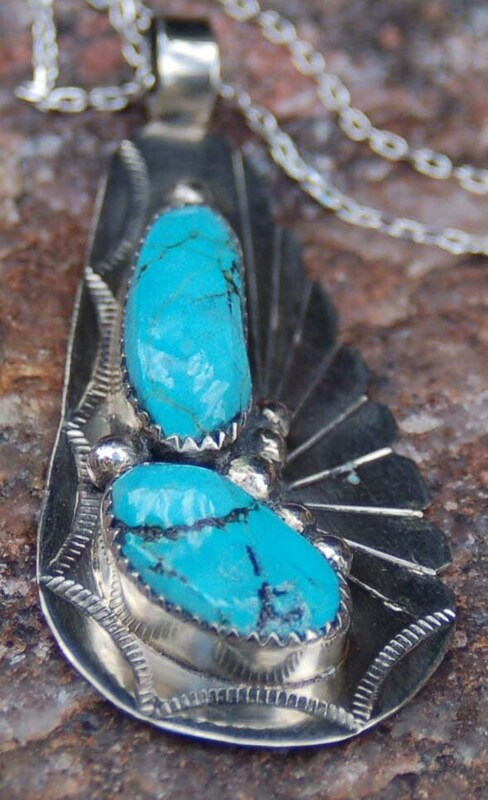 This Navajo necklace is only $119. Order now to guarantee availability. Wonderful item! Dealing with this shop owner has been easy and delightful. Item was just as shown and described, packaged well, and shipped in a timely manner. I'm looking forward to more purchases from her shop!